In China, PCB industry center is located in the Pearl River Delta, the next is in the Yangtze River Delta, and part of the industry shifts to the inland. Before 2013, the PCB output value in the Pearl River Delta, the Yangtze River Delta and the Bohai Rim were 46.89%, 38.56% and 14.55% respectively. In 2015, the proportion in the Pearl River Delta increased to 67.5%, while that in the Yangtze River Delta accounted for about 23%. However, due to factors like cost, environmental protection, policies, etc., some PCB suppliers have been shifted to the inland. According to the statistics, the discontinued PCB suppliers involved: 6 FPC manufacturers, 49 RPCB manufacturers, 3 epoxy resin manufacturers, 3 electronic glass fiber manufacturers, and one CCL manufacturer. The planned shutdown will have a limited impact on the overall sales volume of CCL. According to statistics, the total production capacity of PCB suppliers to be discontinued is slightly over 20.9 million square meters per year, with the total output value slightly exceeding 6.7% of the total output value in Mainland China. Thus, the total impact is limited. 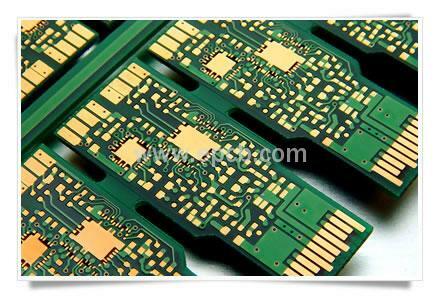 PCB suppliers in other regions may also take their manufacturing orders. As long as the demand for electronic terminals is stable, limited production of CCL has a limited impact on the overall sales. The planned shutdown will further aggravate the rise in raw material prices, continue to optimize the CCL industry competition. The event means that Kunshan may be the first stop inspecting by environmental protection bureau. In the short-term, it is good for companies without factories, as to the long-term, it is benefit for automated manufacturers.